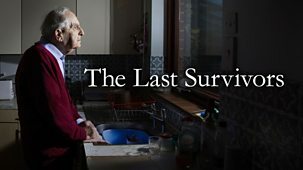 This landmark documentary gathers together the compelling and, in some cases, never-before-heard testimony from the last Holocaust survivors living in Britain today. All of these extraordinary people were children during the Holocaust, but now in their later years, they reflect on their experiences with a different perspective and understanding of how this past trauma permeates through to their contemporary lives with increased significance.\n\nThe film is based in the present tense, building a picture of a small number of survivors in their day to day lives, whilst also giving an insight into why they hold on to particular memories of the Holocaust, as well as what concerns them most as they contemplate reaching the end of their lives.\n\nOver the course of a year, director Arthur Cary also follows these individuals on personal and profound journeys - including the story of a man who returns to Auschwitz with his daughter, a German Jewish survivor addressing the Bundestag, and a man who returns to his German childhood hometown for the first time since 1946 to finally acknowledge the death of his little brother. These scenes are punctuated by compelling interviews with a wider group of survivors who reveal shared feelings as well as their own unique thoughts and experiences. Having lived through 'humanity's darkest hour', these are the last survivors.